We are happy to introduce the newest member of the ITW GSE family, namely the ITW GSE 7400 eGPU that is ideal for gates and hangars without fixed 400 Hz installations. 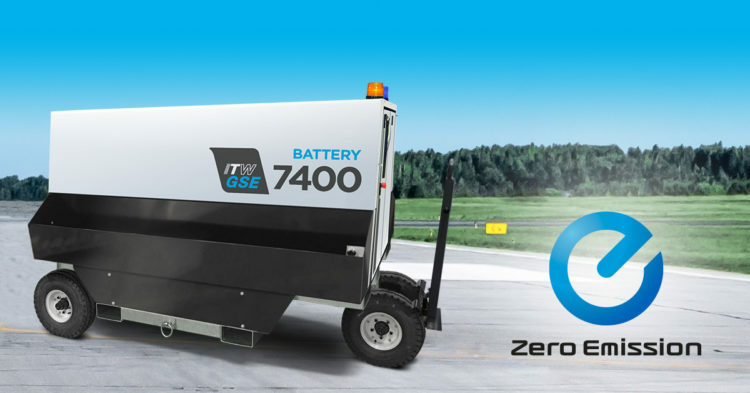 The ITW GSE 7400 is a true game changer in the ongoing quest for lowering the environmental impact at airports. Zero CO2 and NOx emissions at the place of use and drastic reduction of noise is the key for achieving greener airports and better working environments. The 7400 GPU does just that! The combination of two well-proven technologies i.e. Nissan Batteries at input and an ITW GSE solid-state converter at output has created the rock-solid eGPU. It has already been successfully tested at Amsterdam Schiphol Airports.